Horoscope of Carl Gustav Jung. "Everything that irritates us about others can lead us to an understanding of ourselves". - Carl Jung. After a long time, a Celebrity Horoscope, Horoscope of Carl Gustav Jung. For ignorant like myself, Carl Gustav Jung was a Swiss Psychiatrist and Psychoanalyst who founded Analytical Psychology. His work has been influential not only in Psychiatry but also in Anthropology, Archaeology, Literature, Philosophy, and Religious Studies. For more info on Carl Jung, please check - https://en.wikipedia.org/wiki/Carl_Jung. I personally feel that any history written about intellectuals of West will be incomplete if it doesn’t include works done by Carl Jung & Sigmund Freud. Most of his known work was published after his death and it speaks a lot about volumes of work by Carl Jung that he passed away in 1961 but still much of his work is yet to be published. So, Carl Jung was born on 26th July, 1875 at 19.29 PM. Place of Birth was Kesswil, Switzerland. As we can see, he was Sagittarius Ascendant with Saturn in 3rd house/Aquarius, Rahu in 4th house/Pisces, Moon in 5th house/Aries, Venus-Mercury in 7th house/Gemini, Sun in 8th house/Cancer, Ketu in 10th house/Virgo, Jupiter in 11th house/Libra and Mars in 12th house/Scorpio. Jupiter as lord of Ascendant & 4th house – He is Sagittarius Ascendant and its lord is Jupiter. Jupiter also rules his 4th house of Home and Mother. So, it is kind of generic thing that Sagittarius Ascendant people feel closer to their Mother as same planet rules both houses. Same thing happens with Gemini Ascendant people as Mercury rules 1st house and 4th house. At some point of time in life, Sagittarius Ascendant people realize that their Mother is their best Teacher of life. Sagittarius is dual sign and Carl Jung accepted that he thinks that like his Mother, he possessed dual personality. So much to say about his Sagittarius Ascendant. Rahu – Carl Jung had Rahu in 4th house in Pisces. We all gravitate towards Rahu’s position in chart. So, Carl Jung was more attached towards his Mother. At the same time, this relation was very unusually “Rahu” type. Carl Jung had 1st introduction of Mysticism through her Mother when she will behave normally whole day but as evening approaches, she would spent considerable time in her bedroom where she would say that spirits visited her at night. So much of Rahu in Pisces type of relation with Mother. Ketu –Ketu is in 10th house of Father. 1st of all his Father was Pastor in a Church, very much about Ketu in 10th house as Ketu represents Spirituality and 10th house relates to Father. Although, Carl Jung spent more time with Father, but he felt a natural isolation from him. It is said the reason behind this detachment was his father’s academic approach towards Faith. Saturn – He had Saturn in 3rd house, the basic planetary position of someone who can only gain through own work and throughout life, he worked for himself. Aquarius is sign of Humanitarian Causes and he served some huge higher causes for whole of humanity. Moon – Even if we don’t look into details, his chart speaks for itself. Moon is in 5th house of Education & Teaching. Moon represents Mind. So, his all teachings were about Mind. Although. we will see it in detail when we see his chart for his work. Mercury-Venus – As I recently said about this conjunction in an article, this conjunction shows a highly creative and skilful person. Also, in 7th house/Gemini means that he wanted to connect with masses through his skills, communications and knowledge. As I said in the article, this conjunction gives results of infidelity in some cases and there are some reports that Carl Jung had a mistress after his marriage. Sun – Sun in 8th house/Cancer shows lot about himself and career as 8th house is directly related with Psychology and Cancer is sign of nourishing people. It shows that his soul found its satisfaction in emotionally nourishing and taking care of people through his research in Psychiatry. Jupiter – Jupiter is in 11th house/Libra. Jupiter is Knowledge and Great Teacher. 11th house is again serving higher cause. So, he served a higher humanitarian cause through his knowledge and teachings. Mars – Mars is in 12th house/Scorpio. 12th house is of Imagination and Scorpio is all about Mystical World. So, Mars gave him enough courage & will power to dig deep down in mystical subjects like Psychology and help humanity. Mars is also his Atma Karaka. 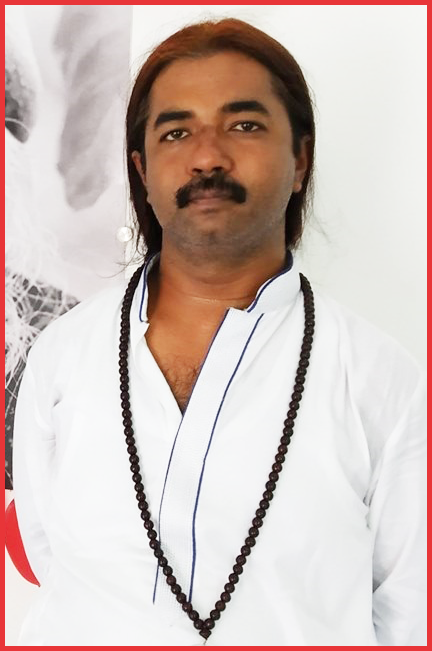 Profession wise – Let’s see the planetary positions which lead him into Psychiatry. Houses – Main house related to Psychology or Psychiatry is 8th house but as 4th house and 12th house are all secretive by nature, we can take these 3 houses. Signs – Likewise, Cancer, Scorpio & Pisces help in any pursuit in unusual studies like Psychiatry. I said it because when he decided to go into this field, it was very unusual and taboo one. Planets - Now, planets making him a Psychoanalyst. Sun – It represents Soul/Career and it rules 9th house of higher education & it is in 8th house/Cancer. It means his Career is going into research, secrecy and finding the truth of human psychology and mind. It also shows he is going to take higher education in this field and then will become Guru to others. Moon – Moon is 8th house lord and sitting in 5th house/Aries. So, it shows that his education is all about secret matters related with human mind and psychology. Rahu – Rahu is in Pisces in Revati. As Rahu is obsession, here person becomes obsessed for Spirituality. We know that his work goes beyond Psychology and he had his say in Religious/Spiritual Matters. Pisces & Revati both represent Imaginations. As Rahu is there, it will make imagination go up to unusual heights. He also developed a method called "active imagination". Mars – It is in 12th house/Scorpio, in own sign. Great courage to research and dig deep into Occult/Mystical/Spiritual things. Also, Scorpio is directly related to Psychology. Another important thing is that Saturn-Mars have mutual aspect on each other. It made him work really hard on Scorpio related things. Courage & Actions of Mars got further support of perseverance from Saturn. Ketu – Now, he is known as Psychoanalyst. 10th house is Fame and how people know you? Virgo is sign of Analysis. Ketu co-rules Scorpio and sits in Virgo. It makes him super analytical. Ketu in Virgo people can research like anything. I know it because I have a student with Ketu in Virgo and that person is never satisfied with generic answers. I have to research like hell to give a satisfactory answer. So, I am not surprised that Carl Jung had this position of Ketu. They are at the highest level when it comes to research and analysing anything. Last but not the least, Rahu had its aspect on both 8th house and 12th house, making him further obsessed into research, secrecy, and every possible secret matter. In a way, it is kind of insult to him and his huge ability if we see him only as a Psychiatrist. 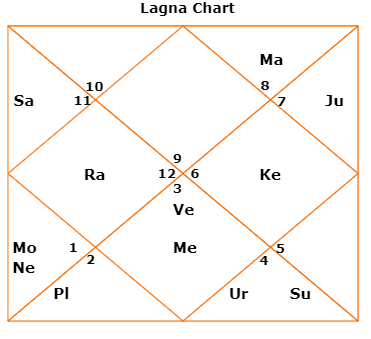 So, we can see that how 4th house, 8th house & 12th house were inter-connected with Cancer, Scorpio & Pisces signs and then all this connection was indicating towards Sun, 10th house & Atma Karaka Mars, which are all important for Career and Fame. This gave him career in such an unusual field in that era. 1884 - Younger Sister born – Sun-Saturn dasha. Saturn in 3rd house of younger siblings. 1895- Medicine & Science Education. Moon-Ketu dasha. Moon in 5th house of Education and Ketu in Virgo, a sign of health care and healing. 1902 – Ph.D. on the Psychology and Pathology of So-Called Occult Phenomena. Dasha? Mars-Ketu dasha, both being rulers of Scorpio & 12th house. Do I need to say anything more? 1903 – Marriage – Mars-Venus dasha. Venus in 7th house of marriage & spouse and Venus represents Wife for a Man. 1907 – Big year as Jung 1st time met with Sigmund Freud. Although, their relation broke after 1913 but in 1907 Freud was certainly a mentor figure for Jung when they met as Freud was way senior to Jung and was actually looking for his successor and found Jung as an able one. Dasha in 1907 – Rahu-Jupiter. Rahu in Pisces ruled by Jupiter and turning itself into Jupiter and Jupiter is Guru. 1909 – Jung starts private practice as Psychoanalyst to help people. Same dasha of Rahu-Jupiter. Jupiter in 11th house, higher causes and helping humanity. 1916 – Majority of Publishing Work begins- Rahu-Venus dasha. Venus with Mercury in Gemini/7th house. Gemini & Mercury are Communication, 7th house is Connecting with Masses. Hence, publishing begins. Jupiter Time - After that most of his time was spent in writing, publishing, travelling and teaching others. He was seen as Guru by others and all this while, he was under either Rahu MD & Rahu converting itself in Jupiter or Jupiter MD. It shows his rise as world teacher plus Jupiter’s aspect on 7th house and Venus-Mercury there kept him travelling, writing and publishing things. If we would go little deeper then we will realize that Venus-Mercury are in Jupiter ruled nakshatra only, i.e. Punarvasu. So, as Jupiter remained active under its dasha, it kept Mercury-Venus active too. I wrote all this specially for those people who think that remedy/gemstone can make things happen or events occur in life. I am sure that Carl Jung never performed any Gruh-Shanti Pooja to get success. He only acted and continued to act. And it’s not that he was not aware of Astrology. He had great knowledge on this subject also and that is the difference, he had “knowledge”, not mere belief. One who knows things can’t be manipulated or misguided by others. Please think that all the well known celebs of world (outside India), from Politicians to Musicians to Sports Persons to Movie Stars, never go for any planetary worship, remedy or gemstone etc, still their lives see events as per Dashas they go through. It only proves that you need to wait till right dashas to come for manifestation of any event. Nothing will happen before destined time and if time has come, then also by no means you will be able to stop the event from manifesting, if you don't want it to happen. So, perform your karma till things manifest in its destined time period. Thanks Vinita, so nice of you. Good wishes to you and my family there too. :). True that faith is supreme. Read about Gurdieff, you will find another Gem. Hello Vishalji, Thank you for this article.Even i dint know about this renowed personality.I googled about him after this article.And yes well said nothing will come before time.Regarding remedies i feel even they work if we have faith in it.No matter if i wear ten gemstones but if i keep nagging ohh kuch nahi ho raha and all then probably they dont work.Its just about faith.Faith can move mountains.In true devotion its said that there is no difference between a god and his devotee.So on this note i end my huge write up..hehehe..thank you again..Hope coming navrati may ma bring you immense success good health wealth Shubh Durga puja to u and ur family and to entire astrosaxena family.